We understand that Recladding your home is a daunting process and can be quite overwhelming. We try to ease that stress as much as possible with our knowledge and experience when it comes to Reclads and by working alongside reliable contractors to ensure your Reclad project runs as smoothly as possible. At Buildology we take a practical and realistic approach when it comes to Reclads and understand that sometimes the best option is to walk away and start fresh, however with the current house values rising this is becoming very uncommon. We will be honest with you 100% throughout the process and give you advice on how to achieve the best result for you and your home. Our team take a positive approach when it comes to Reclads as we see it as an opportunity to not only Reclad your home to prevent leaking but also to redesign your home to improve and upgrade the design and add value to your property. Minor changes to window and door configurations can have a major effect on the overall feel of the home. The opportunity to upgrade insulation and double glazing can change the way of living in your home and make it a much more comfortable and healthy living environment for you and your family. We have had many great outcomes for our past clients, most of which have decided to keep their homes and enjoy the newly upgraded features. For most new projects, we like to have an initial meeting on site to get a feel for the project and the client. In this meeting we will talk you through our design philosophies and how we apply them to our projects. Our services are tailored to individual client’s needs. At the initial meeting we would discuss the services specific to your project and fees involved. Taking advice from specialists early on in the design is advisable and we will be able to discuss your projects need for these. Every client has their own style and aesthetic preferences. It is important for us to understand your tastes as these often influence other aspects of your life such as how you live and how you will use the spaces proposed. It is helpful for clients to have collected images of art, design, fashion, interiors and architecture they like to help inform our designers of what you are about. Remember though, tastes are based on experiences so keeping an open mind in the design process will enable our designers to push the boundaries and produce some unexpected but fantastic results. The Brief: A refined brief can greatly benefit the outcome of the project. We can work with you to derive a suitable brief which includes the requirements and functions you want to achieve, the spaces needed to accommodate these activities and budget constraints. We will be able to discuss the feasibility of the project in terms of budget and site at this stage. A fixed price quote is issued for the concept design stage, which includes two changes if required. This usually takes two to three days to be issued. Once the quote has been signed and the deposit is paid, we will call you to arrange a time that suits for a site measure. Site measures take approximately three to five hours, depending on the size of the project. The existing building, windows and ground levels are all recorded and the property file is then ordered from council and reviewed. 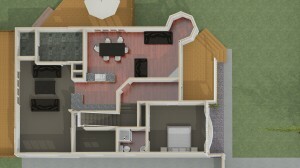 This, along with an analysis of the regulations specific to your property, orientation, views, access to utilities and services as well as the relationship with neighbouring sites will help decipher how we will approach the conceptual design and whether any specialist reports will need to be done before design begins. The first presentation meeting is held at our office in Parnell. We present a printed copy of your project plans and go over the methodology behind what we are presenting. We bring your home up on the big screen and can make minor changes to your plans right then and there if desired. We then take the changes and update the plans as required. This meeting takes approximately one hour. After the meeting we then make any other requested changes and updates the plans accordingly. We then send you a PDF copy of the plans to review. Buildology allow two sets of changes from the clients during this stage to ensure you get exactly what you want. It is important that the clients fully understand and accept the design before proceeding to the Working Drawings stage as changes to documentation will not only result in an increase in work and cost, but may also compromise the earlier refined design decisions. If required, resource consent applications are often undertaken during this stage. During this stage it is a good idea to get in contact with a builder who will be able to give an estimate on the cost of the build. Once we have the final design, we send them to your preferred builder and get them to give an estimate on the build cost. Another option is to get a Quantity Surveyor to give a more accurate break-down of costs. With Reclads, we also recommend getting a registered valuation so that we can assess all of the numbers and make sure that your project is feasible. Once we have checked the estimate a fixed price quote for working drawings is then issued. 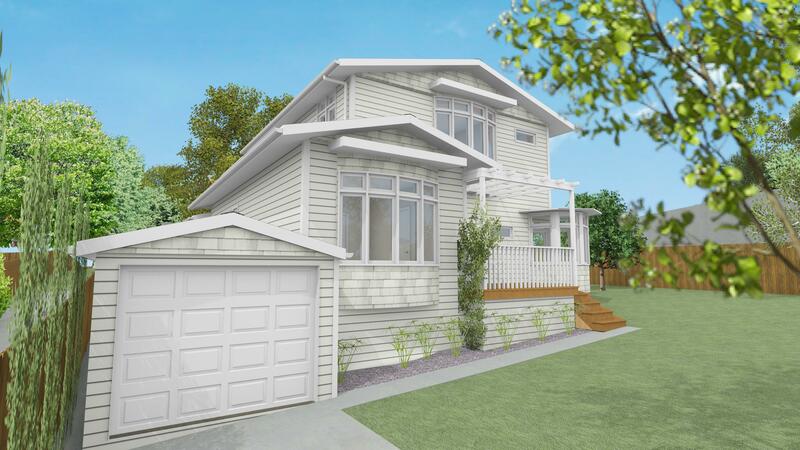 This includes preparing drawings, gathering all information ,submitting and dealing with the Council on your behalf. This does not including engineer or specialist fees. Working out any structural and planning issues in more detail, and assessing the scope of works for engineers and other specialists. Obtaining quotes and comparing prices. Once the required specialists have been identified we send out all relevant information for them to quote. Once quotes have been received back from the specialists we then forward to you for approval. Working drawings include all details from the installation of windows to where beams and posts are placed. Everything from the ridge-cap to the foundation connections need to be detailed. Some are standard; however most require custom design for each job. 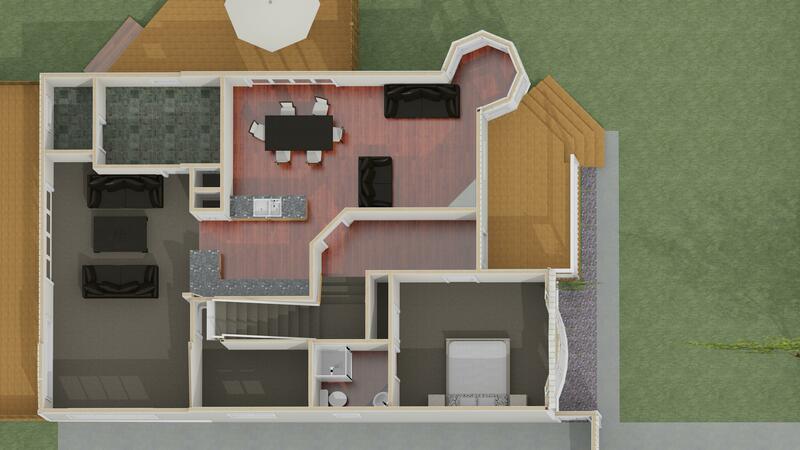 We take the specialists drawings and calculations and add them to the permit set of plans. Auckland Council has a lot of forms to fill out. We will take care of most of these but will require a few to be signed by you. We will inform you of what forms need to be signed. Auckland Council sends our plans to several different departments and they each ask to clarify different parts of the plans. As we are dealing with lots of different people the requests vary, so what may have been fine last week may then not pass the following week, however this is what we take care of on your behalf. This process is called RFI’s (requests for further information). Council will write a letter, put the job timer on hold and send out that letter with the request. We prioritize these letters just below the construction requests, and get the drawing back into council as soon as possible in order to keep things moving. Once Council fees have been paid, work can begin. Renovations are very tricky to get everything perfect on the first go, so during the construction process there are often a few changes. We allow for two site visits to sort things out but anything more will be charged as an extra. This does not include us coming to site to see how things are going. Site visits are charged at $250 + GST per visit. During the construction stage, we can provide onsite consultation and make sure that your project runs smoothly. This is normally based on an hourly charge up rate.